The new, transitional Egyptian government formed in the wake of a popular revolt took a step on Saturday toward lifting the Israeli-induced blockade of the civilian population of Gaza. 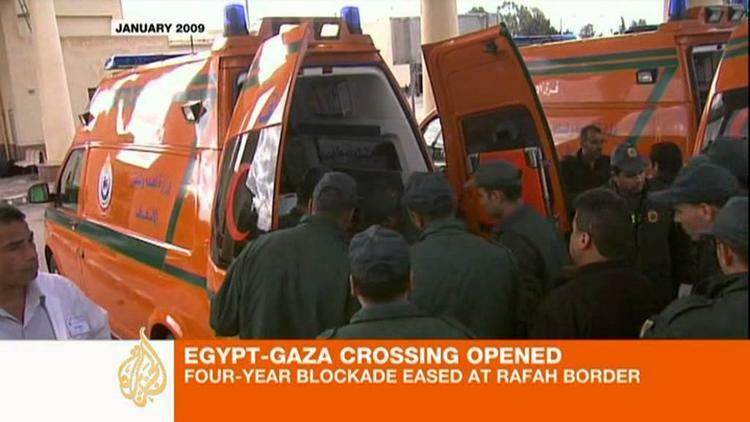 Egypt, at Israeli insistence, is still blocking import of needed material such as concrete, necessary to rebuilding the 1/8 of homes destroyed by the Israelis in their illegal attack on Gaza in 2008-2009, which disregarded the welfare of noncombatants and sometimes actively targeted the latter, according to the UN Goldstone Report. But Egypt is now allowing the circulation outside the Strip of certain categories of Palestinians (40% of whose families were chased out of their homes in what became Israel in 1948 and who often still live in refugee camps). The whole of the population has been kept in a kind of big jail by the Israelis for the past 4 years, as collective punishment in the Israeli struggle with the Hamas organization. The overthrown Hosni Mubarak regime had completely cooperated with Israeli policy toward the Palestinians, in ways that might be explained by personal corruption at high levels, even though Egyptian popular opinion opposed it. Even the usually neutral International Committee of the Red Cross lambasted the Israeli blockade of Gaza last year as a clear breach of international law.